Banff hikes can seem like an afterthought, particularly if you plan to take an Alberta road trip and see Canada’s most beautiful province by car. What’s the use of exerting energy to take in beautiful panoramas if you see priceless vistas in front of you 24/7 while seated and in the comfort of heat or air-conditioning? I’m an active person, so for me the answer is simple: Moving my body exhilarates me! However, even if you’re on the more sedentary side, and the thought of doing the relatively simple Tunnel Mountain Banff hike stresses you out, I have a feeling at least one of these Banff hiking options is going to tickle your fancy. How Many Days in Banff? The length of time you spend in Banff will depend on a number of factors beyond the number of Banff day hikes you want to take. Is Banff your only Canadian Rockies destination, or do you plan to drive up the Icefields Parkway to Jasper, or do some traveling on the other side of the mountains in British Columbia? Are your travels in Alberta limited to the Rockies, or will you see other destinations like the Canadian Badlands, Waterton Lakes and cosmopolitan(-ish) Calgary? In general, I’d say most travelers will spend 2-3 days in Banff, but your circumstances will dictate the length of your stay. The most accessibly of all the hikes on this list, Tunnel Mountain’s trailhead (if you can call it that) actually begins within the town itself. After walking south on Banff Avenue until you can’t anymore, hang a left on Buffalo Street and follow it to St. Julien Road, where you’ll see the trail begin. This hike only requires hours out of your complete itinerary, but gives you a stunning panorama of Banff town. HOW TO GET THERE: If you aren’t staying in the heart of the town, set your GPS for there and park your car as close to the southern end of Banff Avenue as possible. Also known as the “Valley of the Ten Peaks,” this is one of the best day hikes the town has to offer. If you can, get in your car about an hour before sunrise, so that you get to the parking lot at Moraine Lake while it’s still dark. If you follow these instructions you’ll see one of Canada’s most iconic views, which is only around 15 minutes by foot from where you leave your car, right at the first light of day shines on them. 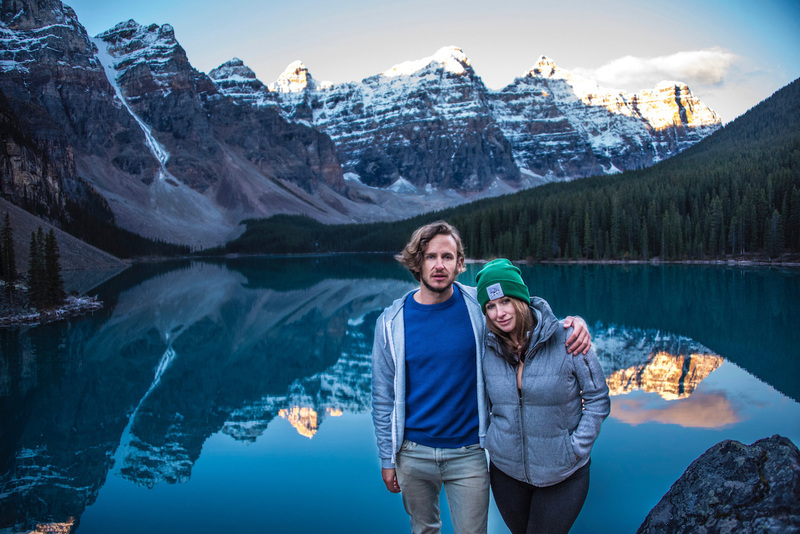 HOW TO GET THERE: Moraine Lake is exactly an hour from Banff town along Canadian Highway One. If you’ve gotten on the Icefields Parkway, you’ve gone too far! Though it’s just a walk, simply strolling around the shores of Lake Louise can be considered among the best Canadian hikes, if only because of how iconic it is. 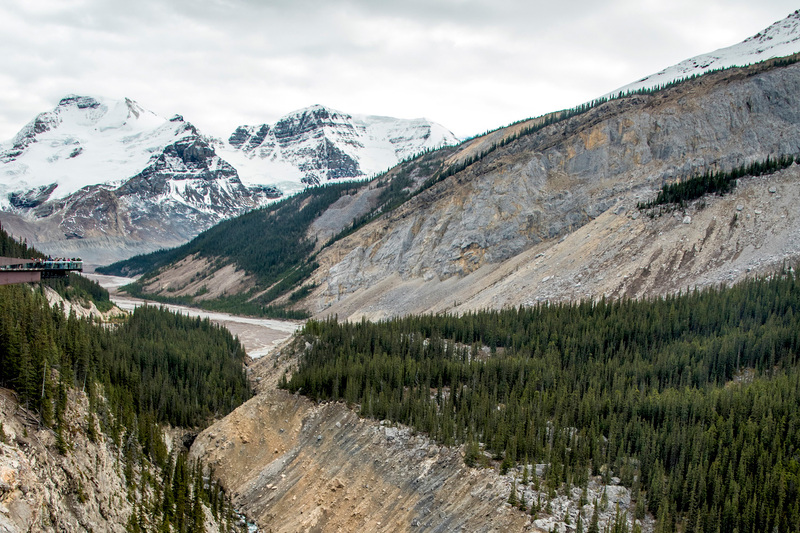 However, if you want to see some truly spectacular scenery—how does a bird’s eye view of ancient ice sheets sound?—the aptly-named Plain of Six Glaciers hike is the one for you. The trail head begins along Lake Louise, at the bottom of Mount Victoria, and requires you to ascend about 400 meters. HOW TO GET THERE: The Plain of Six Glaciers hike is accessible from the trail that goes around the base of Lake Louise, which is probably the Banff attraction that’s the easiest to reach. This is probably the most strenuous of the hikes I’m recommending here, and has another important caveat: Grizzly bears. The good news is that park authorities will actually close the entrance to this trail if grizzlies have been spotted recently, so if you can start hiking, you’ll certainly be able to finish. And the Helen Lake trail hides a beautiful conclusion indeed: During the summer, colorful wildflowers encircle the lake, which requires a round-trip hike of about 10 km, with some dramatic changes in elevation. HOW TO GET THERE: Helen Lake is located about 30 km north of Lake Louise, on the right side of the Icefields Parkway if you’re northbound. 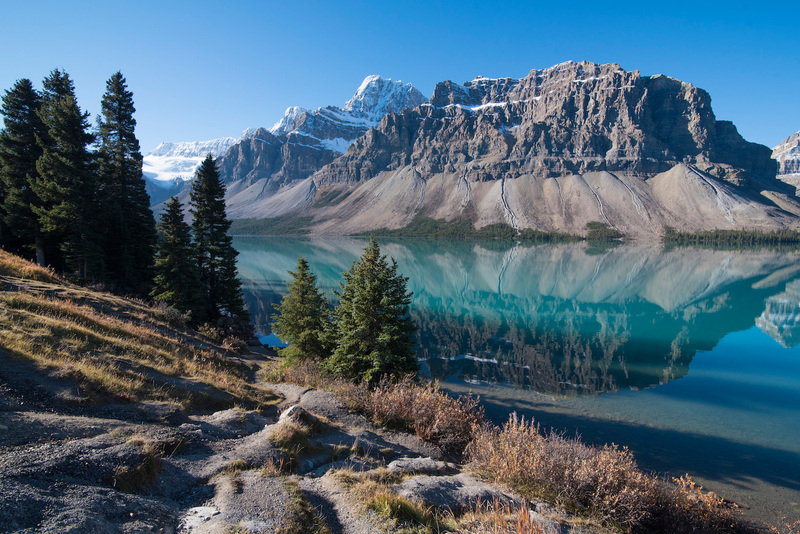 If it’s easy hikes you’re searching for, on the other hand, discovering Bow Lake will be a huge gift to you. You’ll see this lake to the left side at you head north along the Icefields Parkway. While most people simply stop here for a photo op, you can walk around the perimeter of the lake, a 4.8 km loop that should take more travelers just over an hour to complete. HOW TO GET THERE: Bow Lake is just beyond the exit for Helen Lake, albeit on the other side of the Icefields Parkway. You’ll see it from the car, though signs also announce it well in advance. 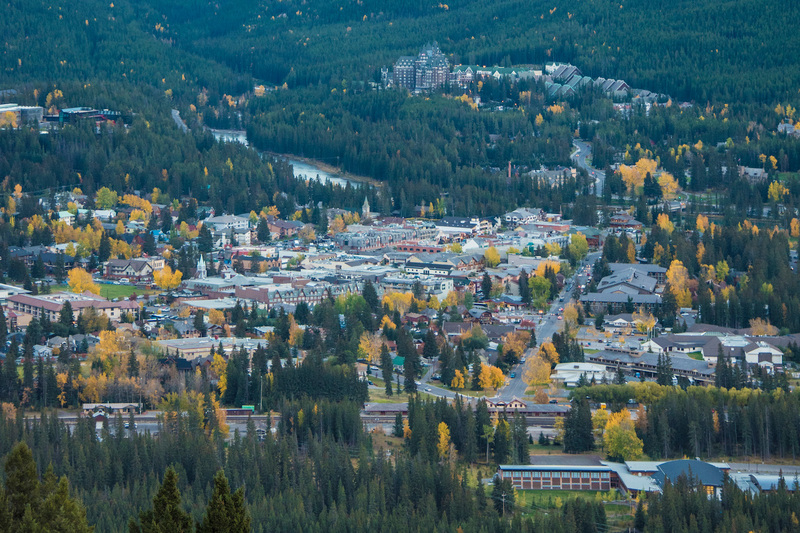 Whether you travel by car or your own two feet, you simply aren’t going to be spending a lot of time in the town of Banff (as charming as I personally find it) or indeed, in many of its hotels. As a result, I wouldn’t stress too much about where you stay. Extreme luxury notwithstanding, most accommodation ranges from the chic comfort of Banff Boutique Inn to the hostel beds of Samesun Banff; since this is Canada, you’re basically guaranteed a clean and enjoyable place to stay, and a level of ambiance commensurate with the price you pay. No matter when you visit Banff or what your level of fitness is, there are at least a couple of Banff hikes that are perfect for you. From easy walks that provide a panorama of the town center, to more strenuous treks within the wilds of the national park itself, hiking options are as diverse and the landscapes you find within its boundaries. The longer you spend time here, the more hikes you can do, but try and keep one thing in mind regardless: Banff, perhaps more than any destination in North America, is all about the journey. 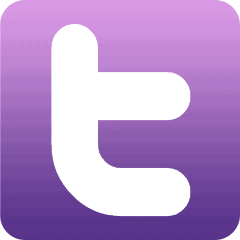 Visit this resource site for more on the mountains of Banff, where there are 13 amazing choices and our Canada page for mroe great ideas..